It's definitely been a good winter for 7 handicapper Gareth Eaton, as well as reaching the semi-finals of the Winter League with partner Liam Tyrer, he has now officially won the winter Order of Merit even though there are still two competitions left to be played. Gareth has played remarkably consistent golf all winter, reflected in the fact he has finished in the top ten positions in every one of our winter competitions so far. His latest result was a fifth place finish on Saturday in the February Stableford, this has taken him to 51 points overall with second place Chris Bird on 29 points, he now has an unassailable lead at the top - well done Gareth! Our February Stableford was played on Saturday and it was a first win for Jonno Ness. Jonno joined us in October and it appears he has been settling in nicely as he has picked up his first victory. 42 points was the winning score and despite a few wobbles on the third hole Jonno offset this with birdies on the fourth and difficult ninth hole. Alan Royle nearly didn't play but he's probably glad he did now as he came second with 41 points and Dave Sherring continued his good form as he came third also on 41 points. Well done also to Steve Hulse who scored two 2's, the first of which was an eagle on the fourth hole. Here's the victor looking suitably pleased in the bar afterwards! We played the first round of the Mail on Sunday Classic on Sunday and we were faced with a tough draw away at Heyrose, however I'm pleased to report we recorded a fantastic 4-1 victory. The team was led by Captain, Chris Bird who beat their Club Champion. James Eaton was the anchor player at the end and he won 5/4 and in form Gareth Eaton continued his hot streak with a massive 8/6 win over his opponent. Dave Johnson also secured a victory with Ian Daines the only player to lose - and that was in a close match on the last hole. Well played to Captain Chris and the team on their resounding win and let's hope for a home draw in the second round. The ladies played a nine hole Stableford last Thursday and when I saw Alison Worrall immediately after her round it's fair to say she was a little annoyed as she had just missed a very short putt on the last hole. As it was, her mood soon improved as she turned out to have the winning score of 16 points despite her last hole blemish. The highlight of Alison's round was an excellent birdie two on the fifth hole, she just edged out Ann Broster on a card play-off into second place, coincidentally Ann also had a birdie two on the fifth hole! In third place was Sandra Peake who also scored 16 points. 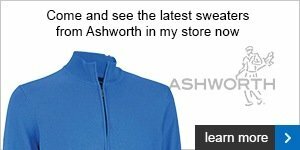 If you are a lady golfer interested in purchasing an official club sweater then make sure you call in to the shop to have a look at and try on the sample sweaters we have available, the order will be going in for them in the next week so don't delay in letting me or Lady Captain Jill know if you want one and what your size and preferred colour would be. I'm delighted to say that we can offer members a very good deal on these crested merino sweaters, they are advertised on the Glenmuir website at £69.99 but we will be making them available to members at the special discounted price of just £49.99! The seniors played a nine hole yellow ball team competition on Tuesday, again with a great turn out - 32 players. The winning team were Tim Donnelley, Keith Ingram, Alan Nevin and Paul Green scoring 85 points. Next Tuesday the seniors are playing the February Stableford over 18 holes with the first tee time being 9.16am. Would you like to hit your irons 25 yards longer? That's what happened to our secretary Martin Major when he visited us last week for a fitting, Martin has always been a good player with a handicap of 8 but he felt he wasn't getting the most out of his irons so we booked him in for a fitting and the results were impressive to say the least. We soon found that his current forged irons with a heavy stiff shaft made his ball flight quite low and weak, he hit his 7 iron an average of 127 yards. We soon found some extra distance when we gave him a few demo clubs with lighter shafts in, but we really cracked it when we gave him the new Callaway Big Bertha 7 iron, thanks to its 360 degree face cup technology this club seems to offer really hot ball speeds off the face - the result was an average distance of 152 yards with the 7 iron, a 25 yard increase but also straighter shots too with tighter dispersion through having the correct equipment. The two images below show the Trackman data for Martin's shots with his current 7 iron and then with the Callaway Big Bertha 7 iron - notice also the middle column 'smash factor', this basically shows how efficiently the club is working for the player this increased massively with the correctly fitted iron showing how well it suited him, this could be you too if you visit us for a fitting. Contact me now if you would like to book a session. Myself and Adrian Hill were lucky enough to attend a Callaway and Odyssey 2015 product range launch event last week and we were both very impressed by the new equipment they are bringing out this year, one part of the range that really caught our attention was the launch of the new Odyssey Works putters. Odyssey are known as the number one selling putter company in the world and this is for a very good reason. The Odyssey motto is 'innovate or die' and in the last few years they have been responsible for some of golf's main innovations such as the famous '2 ball' shape of putter which has arguably been the most popular putter model of all time as well as the well-known 'white hot' face insert that offers incredible feel and softness in the putter face. This year they have again come up with the goods in the shape of the Odyssey Works line of putters, they are very recognisable with their thick silver grips and array of head shapes to suit different putter strokes. 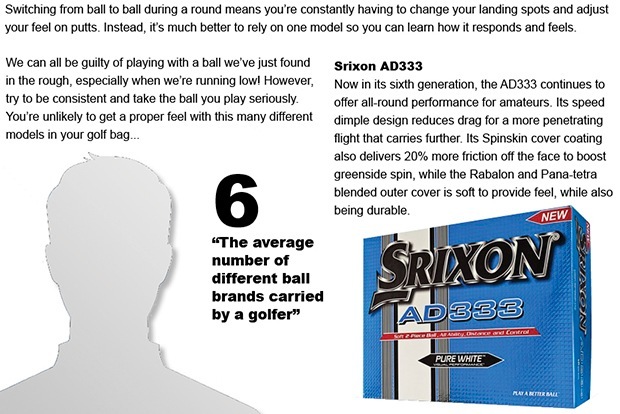 They also sport a distinctive silver face insert based on the popular white hot insert that offers great feel and feedback but added to this insert is a mesh covering which basically takes skid off the ball and gets it hugging the putting surface quicker so you get the best of both world's. They also come equipped with a thicker Superstroke grip which are very popular on tour with players such as Phil Mickelson, Jason Dufner and Jordan Spieth using them. We now have the full range in stock so call in to have a look, here we are taking a look at some of the new putters last week. 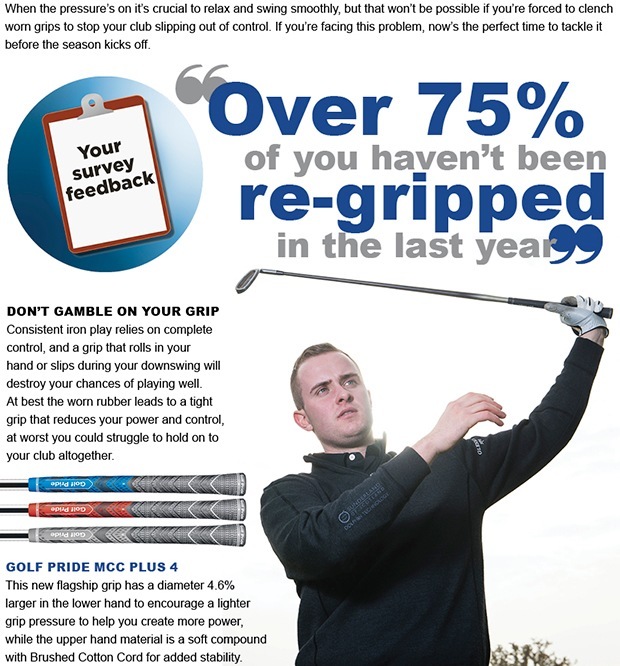 Have you got the right putter? If you ever ask me what the most important club in the bag is for any golfer I will always say it's the putter, everyone is obsessed with having the latest and greatest driver or set of irons but you are guaranteed to use your putter more than any other club in a round of golf and yet most people neglect this part of the game. I'm willing to bet most of you haven't been fitted for a putter before and you may not know the difference between a face balanced and heel or toe balanced putter and the effect that using the wrong one can have on your stroke? You need to not only have the right head shape and balance to suit the arc of your stroke but also the right length and size of grip to get you set up correctly. 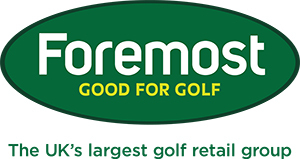 Just think if you had three or four less putts in a round your scores and enjoyment of the game would rapidly improve - we can offer FREE fitting with the new Odyssey range or any other brand that we stock such as Scotty Cameron, PING, Yes!, TaylorMade and Nike, contact me if you would like to book a putting assessment. Our next two fitting days with Callaway and PING are now full, however if you haven't booked a slot you can still call down on the night to try clubs out and I will also be available on the range to offer advice. We also have a fitting day with TaylorMade booked in on Thursday 5th March from 2-6pm, as usual there will be eight half hour slots to book with a FREE fitting available with Jamie Guy on any of the exciting new TaylorMade range this year including the new ultra forgiving three slot RSi irons, R15 adjustable drivers and the ultra-light and mega long Aero Burner range. TaylorMade -Thursday 5th March 2-6pm all slots available at moment apart from 2pm. This week we bring you a profile of another former captain Ian Daines. Ian is also our current handicap secretary so he's the one to blame if you think your handicap is too low!